What’s a Virtual CMO (or outsourced CMO) and why do you need one? So your business has gone through a growth spurt and you want to take it to the next level. Maybe you want to transform your six figure business into a million dollar business, and you’ve discovered that your marketing is falling behind. What’s worse is that you’re the main source of the problem. You realised, as founders often do, that work magically multiplies to fill all available hands. You were creating all the blog content (or outsourcing it), and you were doing all the outreach. You were the one working with a freelance designer. You were the one finding opportunities to guest blog or be featured on podcasts or webinars. Until now, your word-of-mouth was looking good. Recently you’ve been forced, like all founders managing a fast growth business, to identify the top priorities for your business and you’ve determined that your focus needs to be on improving your operations and creating the best experience for your customers. It’s all about getting your business up to maximum efficiency, right? You’ve got your email marketing software, your website is up, and your social media accounts are active. Maybe you’ve done some SEO, and even got some paid ads happening with a whole bunch of contractors involved but you’re feeling like it’s not really working as you’d hoped. Either way, you need support before things go off the rails. Should you hire a full-time in-house marketing director, marketing manager or chief marketing officer (CMO)? Sure, but a $70-$200k salary is out of budget (for now). You need someone with the right expertise and the ability to understand your business quickly. You need someone who can work with your virtual assistant to create the marketing test plan going forward. You need a virtual Chief Marketing Officer (also referred to as a virtual or outsourced CMO). What is a Virtual CMO, and how do they work? Apart from the time savings on offer, here are ten more reasons to hire a vCMO for your business.In a nutshell, a vCMO lowers your customer acquisition cost while freeing up your valuable time. Your vCMO will draw up your marketing plan and ensure execution of the associated tasks on a daily basis. The first big benefit. 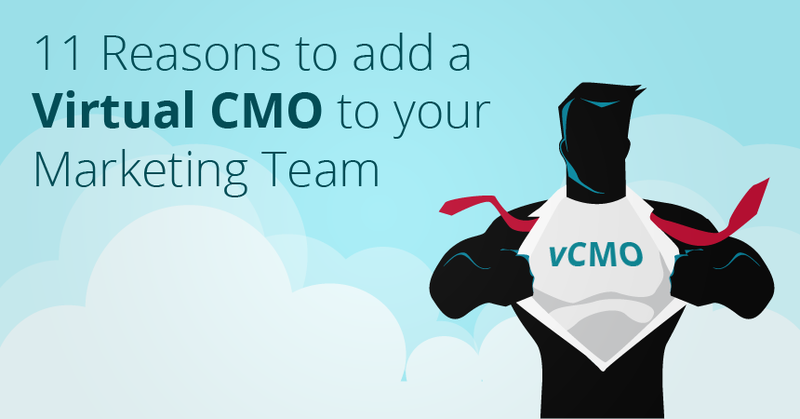 You can save 20-70% when you hire a vCMO, instead of an in-house CMO. In Australia, full-time marketing managers typically earn $75k AUD per year plus, and that’s what you’d be looking at paying on average if you hired someone with several years experience to work full-time in-house to lead your marketing. Australian marketing director salaries start on average, around $100k per annum. So “renting” an experienced marketer to develop, drive and implement your marketing strategy is a much more cost effective option for many small businesses. A virtual CMO is unlikely to be bound to a single discipline. You’ll add a team member who is well-versed at a multitude of tasks that may be required. Add to those brand positioning, packaging services and products, email marketing and lead nurturing, creating sales and marketing collateral, and much more! While you’re sporadically working on your marketing strategy (twice a year if you’re lucky! ), something more important is bound to cross your desk and lead to divided attention. Your vCMO is able to focus on the task at hand. This, combined with years of experience, leads to more consistent marketing execution. Bound to the previous point, higher focus and consistency leads to higher quality output. Financial year end may have you and your employees running around in a frenzy. But your vCMO will be calmly working on your next big marketing kaboom. As an outsider, a vCMO can provide their honest, unbiased opinion on your company and your ideas. Your vCMO should have more knowledge than you in all things marketing. This presents the opportunity to learn from your vCMO as you go, something of an inclusive mentorship program. This means your vCMO can work with your current team members, or help you hire and mentor new staff too. Whilst your vCMO can certainly help hire a marketing assistant or someone who they can groom to take over your marketing, they may not be the best person to handle all your recruitment for other roles inside your business. Having said that, they’re sure to know other like-minded individuals and trusted suppliers who they can bring on board for specific projects. They’ll have a network of writers, copywriters, designers, sales professionals, conversion rate optimization (CRO), search engine optimization (SEO), virtual administrators, and other experts at their disposal. This gives you access to a broader network of resources to execute on various elements of your overall marketing strategy (and saves you a whole lot of time and headache trying to source trusted suppliers in each of these areas on your own). This one’s related to point 3. Your vCMO will likely have a wider range of in-the-field marketing experiences, often in different environments – be it startup, SME, corporate, non-profit or other. Also, replacing a vCMO is a lot easier than replacing a full-time CMO, should things go sour. Your vCMO will be able to implement valuable tracking tools for your business. Your marketing efforts will be measured and data will be readily available on effectiveness. Thus you’ll be able to focus on the strategies that really work, and chuck those that aren’t. With visibility comes accountability. Having a dedicated and experienced vCMO to report regularly on marketing efforts, against agreed upon deliverables and objectives, means that you’ll be able to make informed decisions about how well they’re performing. If they’re doing a great job you can throw a party. If not, you can let them go. You’ll have full control of that. Few business owners have time to spare. Marketing is a valuable skill that takes a lot of time to learn. A CMO is critical to the evolution of your business. The benefits of hiring a virtual CMO as opposed to a traditional CMO are clear. 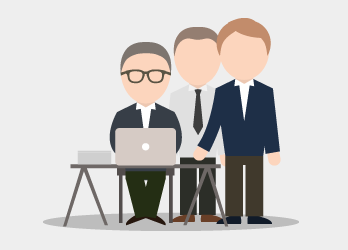 So when you’re ready to take your business to the next level, get your hands on your very own virtual CMO.